Located in Whitstable, nr Canterbury, Kent. Sage Installations can supply and install a wide range of Roof Lanterns within Whitstable and Canterbury. Ready to improve your home with the new must have modern home improvement? 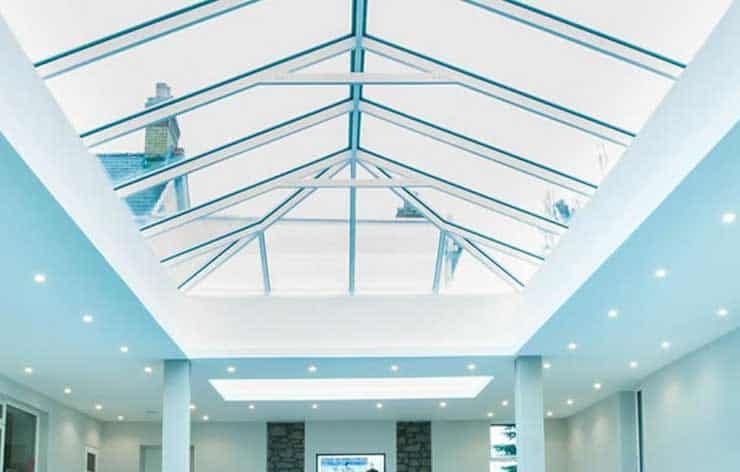 Well suited over kitchens, flat roof extensions or out buildings, a roof lantern is an exceptional way to open up and bring light into your home. Fully secure with superior thermal performance, a roof lantern installed by Sage Installations will improve any home to which we install one. Our roof lanterns are designed with no chunky bars or supports. Profiles are kept to an absolute minimum giving you more glazing and visibility of the sky and feeling of openness. The unique system design is super strong, light with only 40mm rafters creating a slim, elegant roof profile with excellent thermal performance. The roof lanterns we install increase your visibility by up to 30% compared to our competitors. If you are looking for something a little smaller than a roof lantern, maybe check out our Skylight page.